This entry was posted in Candle Making Recipes, candle making supplies, Fragrance Oils, Free Recipes, Natures Garden and tagged bacon candle, bacon candle recipe, bacon fragrance oil, bacon fragrances, bacon scent, bacon scented candle, candle making, candle making supplies, candle projects, candle recipes, candle that smells like bacon, candlemaking recipes, candles for kids, crafts for kids, fathers day, fathers day gifts, fathers day projects, fragrance for candles, fragrance oils, free candle recipe, free craft recipes, ganulated wax, granulated candle, granulated candle recipe, homemade candles, homemade craft projects, how to make a candle, how to make candles, how to make granulated candles, how to make homemade candles on May 31, 2015 by Deborah Ward. Have you been thinking of what to the dads in your life on Father’s Day? So have we, and that’s why we’ve created this bacon candle recipe. This is a great gift idea for bacon lovers and dads alike. Not only will he adore having his very own bacon candle, but there is no hot wax involved in the creation of this bacon candle. 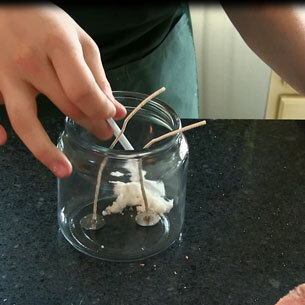 This kid friendly project allows children the enjoyment of making their father a unique bacon scented candle, while you can rest easy knowing they won’t be burned. Plus, what shows you care more than spending time on a one of a kind gift that he’s sure to love? Spectrum Liquid Candle Dye- BROWN 1oz. Spectrum Liquid Candle Dye- Red 1oz. 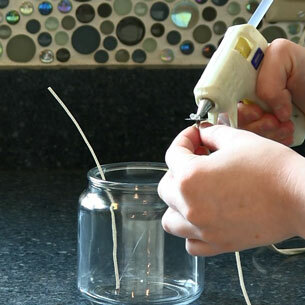 Using a hot glue gun, glue two CD-12 wicks to the apothecary jar. Make sure they are place equally apart in the candle jar. For the next step you will need three ziplock bags. In each of the 3 bags, weigh out 120 grams of Natures Garden’s Pillar of Bliss Candle Wax. Now, add 12 grams of Nature’s Garden Bacon Fragrance Oil to each bag. 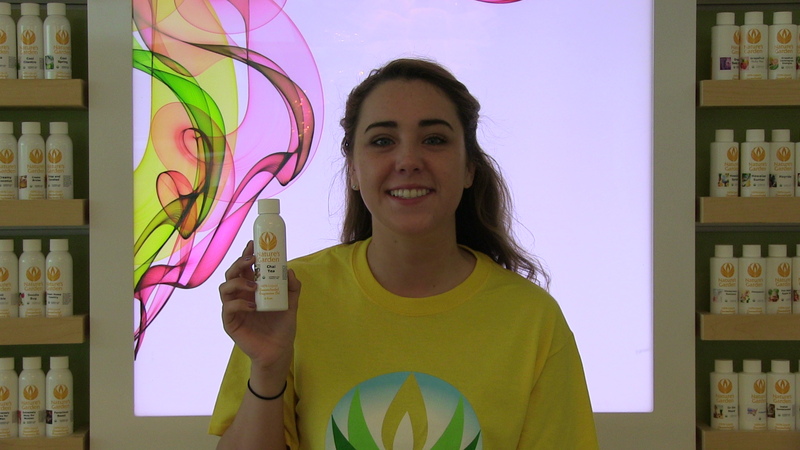 Next, we are going to color the wax using Natures Garden Spectrum Liquid Candle Dye. 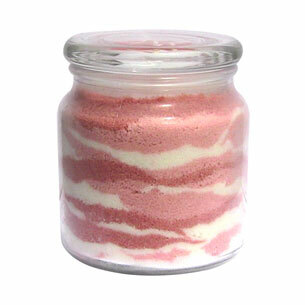 This candle colorant will be added straight to the ziplock bag just like you did with the fragrance. In the first bag add 1 drop of Spectrum Liquid Candle Dye- Red and 1 drop of Spectrum Liquid Candle Dye- Brown. This will be used for the darker red color. Bag two will be used as the light pink color. Dip a toothpick tip into the red spectrum candle dye and place the dye into the wax. Dip the toothpick one more time into the red candle dye and work into the wax. Lastly, dip another toothpick into the brown dye one time and incorporate into the wax. The third ziplock bag will remain uncolored. Shake each bag well. Make sure all of the color and bacon fragrance oil is fully dispersed. Now, it is time to begin creating your candle. We suggest using disposable spoons for this. We will simply be layering the wax to create a bacon like look. Start with the uncolored Pillar of Bliss Wax. Place the wax along the bottom of the jar. You will want to make a thin line of uncolored, bacon scented wax. Directly on top of the uncolored wax, place a layer of the light pink wax. 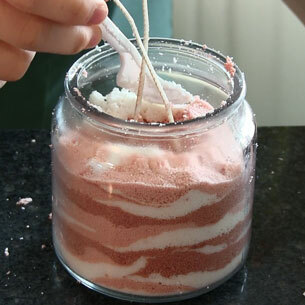 On top of the light pink granulated wax, place a thin layer of the dark red wax. Continue layering the wax until your jar is completely full. Be careful when filling your jar. You want to make sure the wicks remain centered as you fill the candle container. Once you have filled the jar, use a pencil to curl the candle wicks. Not only will this recipe safe for children to make, but it will make a great and unique present for any father out there. Plus, it smells like bacon! Who doesn’t love that? I hope you bacon lovers and fathers out there enjoy this bacon candle recipe and have a wonderful Father’s Day! For even more fragrance fun visit all of our free craft recipes! Keep watching for even more creative soap and candle making ideas. This entry was posted in bath products, candle making supplies, Fragrance Oils, Natures Garden, Soap making supplies and tagged candle making, candle making projects, candle recipe, candlemaking, cold process soap, confetti soap, cp soap, Favorite Fragrance Oils, fragrance oils, fragrances for candles, fragrances for soap, free craft recipes, granulated candles, hot process soap, how to do an in the pot swirl, how to make bath bombs, how to make hot process soap, learn about natures garden, learning about natures garden, learning to soap, making bath bombs, melt and pour soap, scents for candle, scents for soap, seniors shadowing natures garden, shadowing natures garden, soap making, soap recipe, soapmaking, soapmaking projects, what its like to work at natures garden, working with natures garden, world peace soap on May 30, 2015 by Deborah Ward. 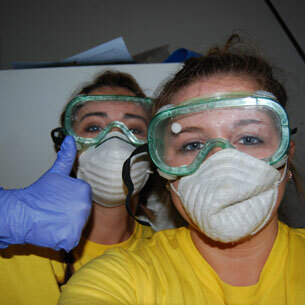 The past couple of weeks we have had two high school seniors shadowing Natures Garden. These two wonderful ladies, Kacie and Caitlyn, have been an absolute blast! We’re very sad to see them go but their time here was definitely well spent. Not only did they get the opportunity to see how we operate at Natures Garden, but they made some pretty cool projects along the way. Now, I’d like to share some of what these lovely girls have been working on during the past couple weeks. Prior to starting any projects we needed to know what types of fragrance oils the girls liked most. This way we could have them making all sorts of projects with their favorite scents! 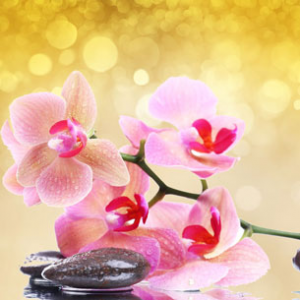 Therefore, we had them go to the fragrance bar, which is located in the Natures Garden store, to smell all sorts of our delightful fragrance oils. After smelling everything that they could, Kacie and Caitlyn each picked out ten of their favorite scents. They also picked out some of their favorite recipes from our recipe box. 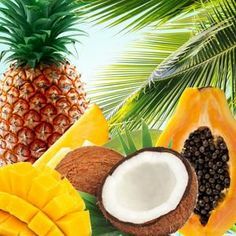 Finally we could begin on the real fun, turning these fragrances into your very own soaps, candles, or anything else you can imagine. The first project the girls tried out was the Hydrangea Candle Recipe. They used one of their shared favorite scents, Blue Raspberry Slushie Fragrance Oil, and they both turned out great. Not only was their first project a complete success, but we were all pretty impressed with these candles and their colors choices. 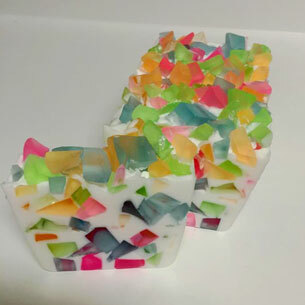 Another beautiful creation was done using the Easter Confetti Soap Recipe. This fairly simple melt and pour recipe turned out to be a very lovely loaf. Not only did their soap loaves look fantastic but the Pink Orchid and Amber Fragrance Oil had their bars smelling amazing as well. One recipe that the girls were especially excited for was bath bombs. These bath time delights were made using, one of Kacie’s favorite fragrances, County Apple Fragrance Oil. Although the girls used the Orange Dreamsickle Bath Bomb Recipe, they gave it a slight twist by adding pink! 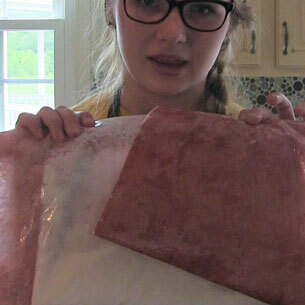 Next, the girls even learned how to make their own soap from scratch! They did an awesome in the pot swirl using the World Peace Cold Process Soap Recipe. 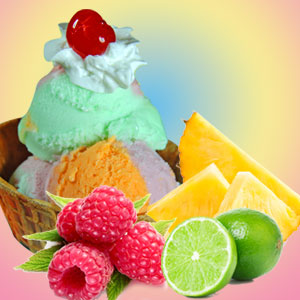 The colors were vibrant and amazing just like the scent that was used, Fruity Rings Fragrance Oil. Another method they learned in soap making was how to do hot process soap. The Purrs and Paws HP Soap Recipe was used to create these loaves and NG Aqua Di Gio Type Fragrance Oil was added as well. The loaves had glitter added and turned out to be quite pretty. 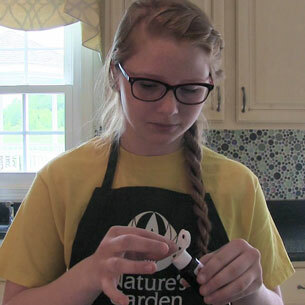 Also, the girls helped create a couple new recipes that will be coming soon! The first recipe is a melt and pour soap recipe that we really hope you’ll enjoy. The second recipe is new a lotion recipe that we are very excited to share with you. 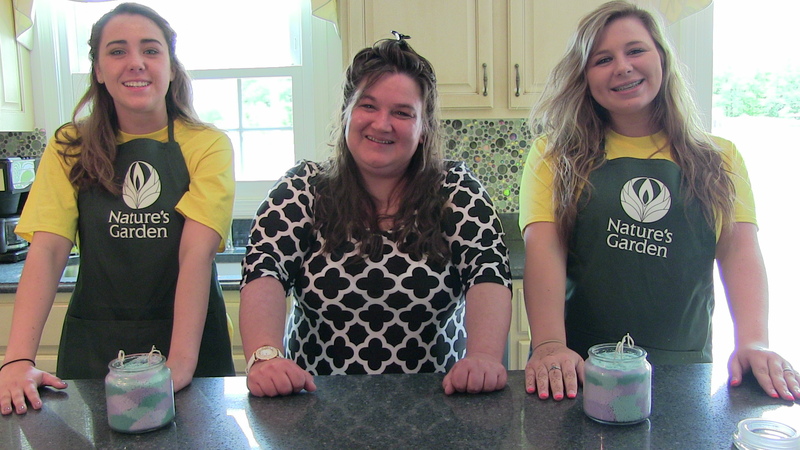 It was great to have Kacie and Caitlyn working with us on all of these fun projects. It seems that these ladies got everything that they needed out of shadowing Natures Garden and have a better understanding of Nature’s Garden and what goes on here. They are both very funny and wonderful girls and we hope that they come back to visit us in the future! We would like to wish them the best of luck as they graduate from high school and prepare for college. It truly was a pleasure to work with the two of you! 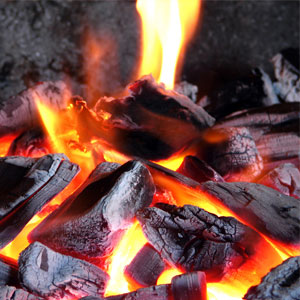 This entry was posted in candle making supplies, Candy Fragrance Oils, Fragrance Oils, Natures Garden, Soap making supplies, Topical Fragrance Oils and tagged apple fragrance oils, apple scents, candle fragrance oils, candle scents, candy fragrance oils, Candy Fragrances, candy scents, fragrance oil, fragrance oils, fragrances for candles, fragrances for soap, good new fragrances, good summer fragrances, good summer scents, grape fragrance oil, grape scents, lollipop fragrance oils, lollipop scents, masculine fragrance oils, masculine fragrances, masculine scents, natures garden, natures garden new fragrance oils, new fragrance oils, new fragrances, new fragrances at natures garden, new scents, new summer fragrance oils, scents for candles, scents for soap, soap fragrance oils, soap scents, summer fragrance oils, summer fragrances, summer scents, sweet fragrance oils, sweet scents, tropical fragrance oils, tropical fragrances, tropical scents on May 29, 2015 by Deborah Ward. 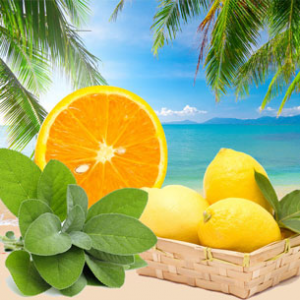 Kick your summer off right with Natures Garden new fragrance oils! These thirteen fragrances radiate summer fun and good times, and considering our inspiration I find this to be very fitting. 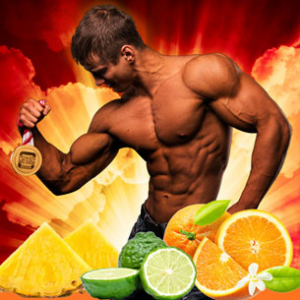 These fragrances were derived from a few of our favorite things; sugary sweets, Caribbean paradise, and chiseled abs. Imagine lounging on a tropical island with a sweet taste in your mouth as a hot hunk runs towards the crashing ocean, I sure do! So why don’t you take your nose on a sweet, delicious vacation and try one of our new scents. An NG Original Scent! Tempt your taste buds with the aroma of tangy yet sweet green apple goodness that will remind you of the sour green apple candy you enjoyed during childhood. An NG Original Scent! A fragrance that captures the goodness of sweet, creamy, delicious butterscotch candy wrapped in bright golden foil. An NG Original Scent! The essence of a champ, this medley of masculine appeal is sure to set the gold standard. An NG Original Scent! Lounging by the pool is even better with this cocktail of summer inspired fresh & fruity scent. 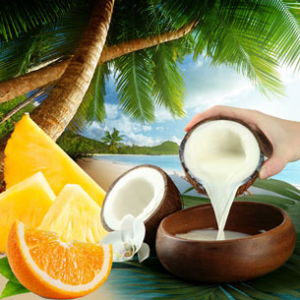 Kick back and enjoy the summertime sensation of creamy coconut enhanced by fresh fruits and island air. An NG Original Scent! 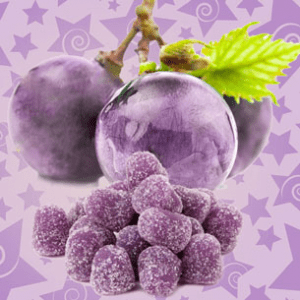 Go gaga for the scent of ripe, juicy grape candy that will remind you of the sour grape candy enjoyed during childhood. Spring is in the air with this lively fusion of citrus fruity freshness and delightful daisies amidst a flower laden meadow. A sensual medley of delicate orchid blossoms wrapped in soft, comforting amber create a beautiful summer bouquet. Reminiscent of a summer visit to the shore, this scent brings back memories of sweet, melt-in-your-mouth taffy. An NG Original Scent! 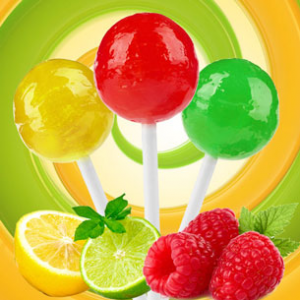 A sugar high at its sweetest, the sticky sweet goodness of tart citrus and juicy fruits captured in this hard candy lollipop scent. An NG Original Scent! Imagine a weekend getaway to a tropical island…the fresh fruits, floral blossoms and warm air of this fragrance set the tone for a mini escape. An inspiring blend of fresh sage and trendy sea salt backed by white washed driftwood will transport you to a place of natural harmony. An NG Original Scent! 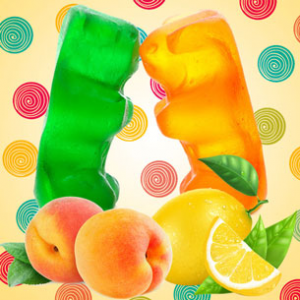 A childhood favorite, the essence of chewy gummy candy bursting with fruity goodness. 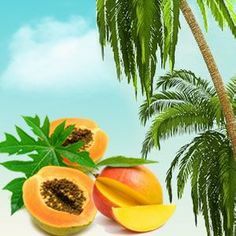 Whether you prefer delectable candy, beautiful beaches, smoking hot men or all of above, there should be something for you in this collection of Natures Gardens new fragrance oils. So why not indulge yourself in these new delicious scents? We hope you enjoy these new fragrances just as much as we do and have a wonderful time incorporating them into your projects and recipes. This entry was posted in Fragrance Oils, free soap recipes, melt and pour soap, Natures Garden, Soap making supplies and tagged beach fragrance, beach scent, clear soap recipe, crafts for kids, cute soap ideas, easy soap projects, fish soap, fragrance oils, homemade soap recipe, how to make homemade soap, how to make melt and pour soap, kids crafts, making melt and pour soap, melt and pour soap recipe, ocean fragrance oil, ocean mist fragrance oil, ocean mist scent, ocean scented soap, soap making projects, soapmaking, soapmaking recipe, summer fragrance oils, summer scent, summer soap projects, summer soap recipes, tropical fish soap recipe, under the sea soap recipe on May 28, 2015 by Deborah Ward. Soap up the ocean with our Under the Sea Soap Recipe scented with Natures Garden’s Ocean Mist Fragrance Oil. These adorable little fish soap will have you swimming for joy! Who could resist the sweetness of dipping into cool ocean water while small colorful fish play at your feet? We sure couldn’t! 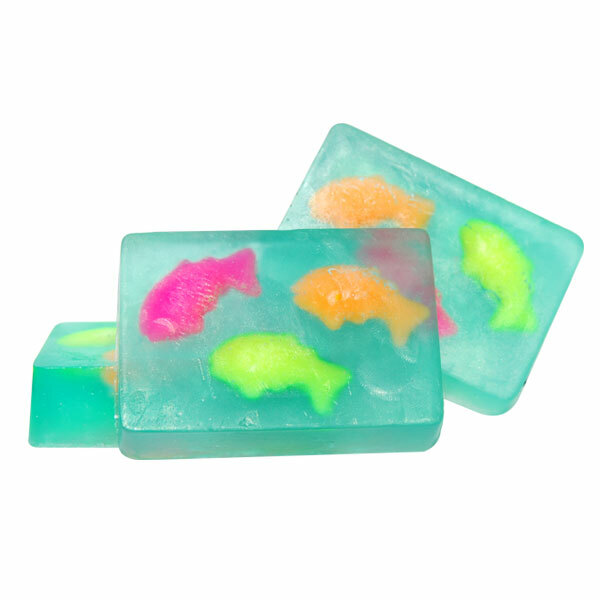 These fishy soaps would be perfect for fish lovers, ocean admirers, and beach fanatics alike. We were inspired by the beauty of ocean life and hope you will be too. Begin by sanitizing your work area and necessary materials. It is recommended to wear protective clothing during the making of this recipe. You will first be creating the fish embeds. In a microwave safe bowl, melt 60 grams of Diamond Clear Melt and Pour Soap. After the soap is melted add 3 grams of Ocean Mist Fragrance Oil. 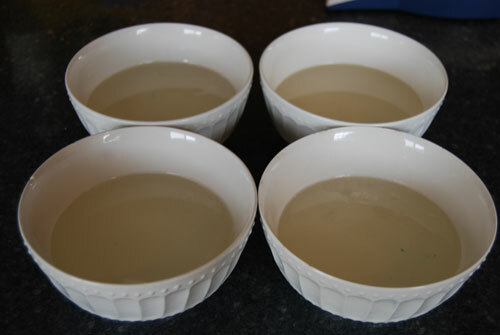 Next, separate the melted soap into three bowls, 20 grams in each bowl. 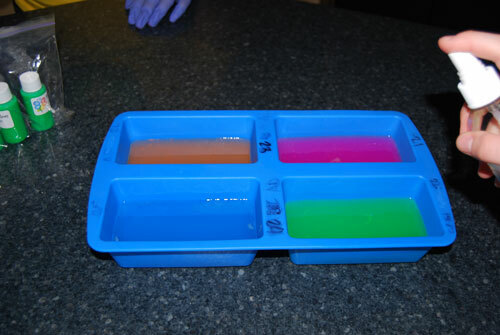 Add 3 drops of neon orange soap colorant to one bowl, 1 drop of neon pink colorant to the next, and 1 drop of neon yellow colorant to the final bowl. 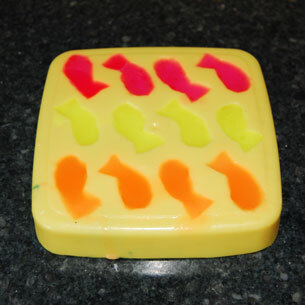 Then, pour the soap into the Fish Embed Candle and Soap Mold from www.flexiblemolds.com. 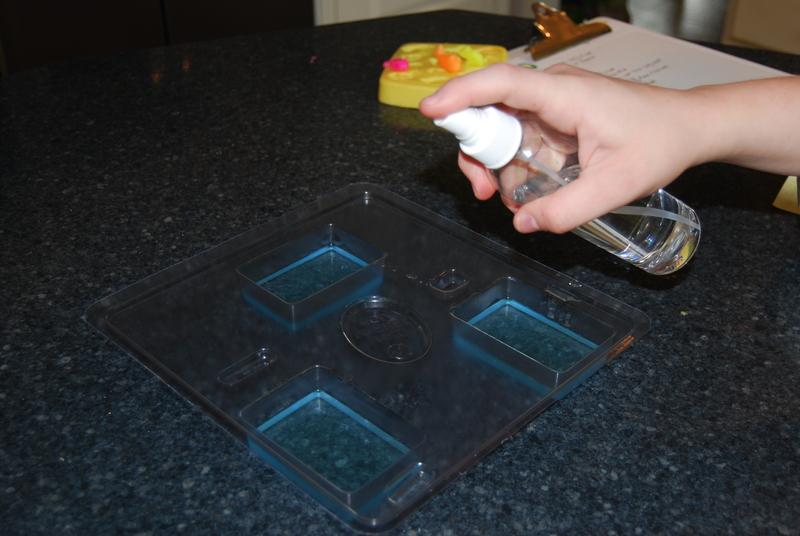 Spray the top of these soaps with rubbing alcohol in order to release air bubbles. 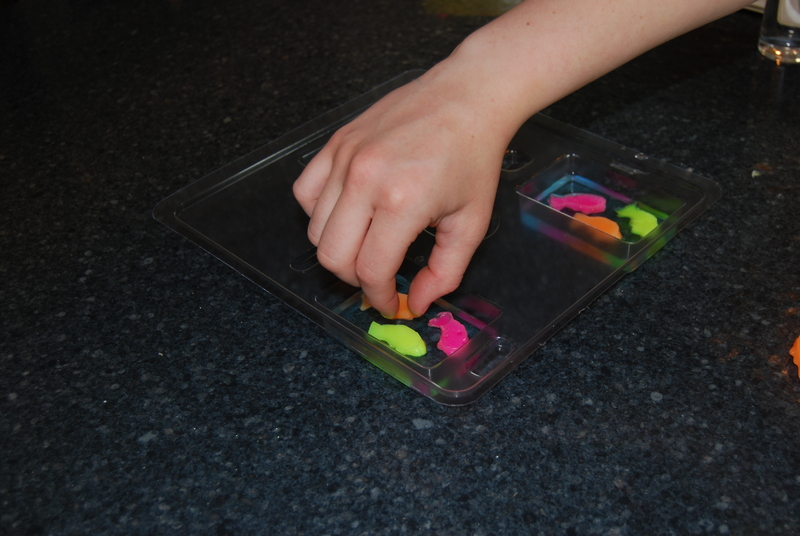 After, the soap sets up, remove them from the mold, there should be enough to make four fish of each color. The next step is to prepare the blue colored soap. Using a microwave safe bowl, melt 390 grams of Nature’s Garden Diamond Clear Melt and Pour Soap. After the soap has melted completely, add 1 drop of Da Bomb Soap Dye, and 19 grams of Ocean Mist scent and mix well. Using the Basic Rectangle Mold Market Mold and fill each cavity about halfway with the blue colored soap. Again, you will want to spray the soap with rubbing alcohol to release air bubbles. Add the fish. Take the fish that you prepared previously and place the colored fish face down into the blue soap. Spray this layer with rubbing alcohol and fill the cavities with the remainder of the blue soap. Lastly, after the soap sets up, you can remove the soap from the mold. 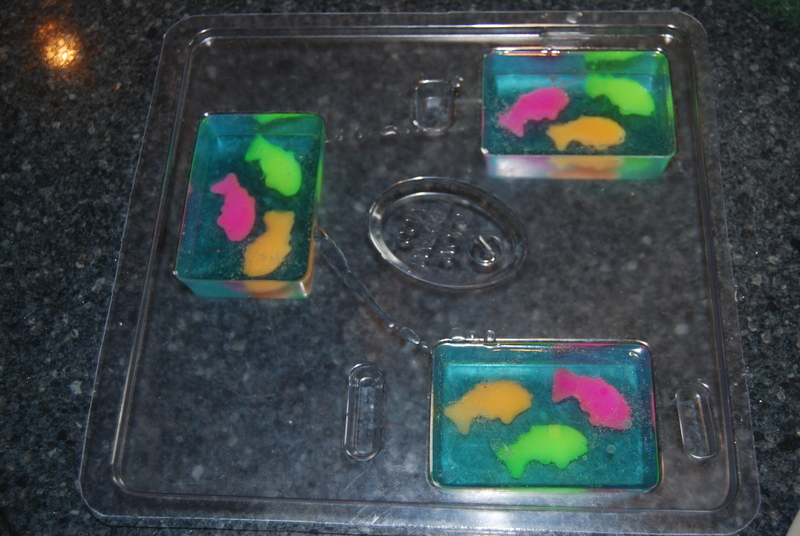 Now your Tropical Fish Soap is ready for use! Enjoy! This Tropical Fish Soap Recipe is a perfect way to bring a small piece of an ocean paradise home to you. We hope you enjoy this recipe and had as much fun with these little fish as we did! 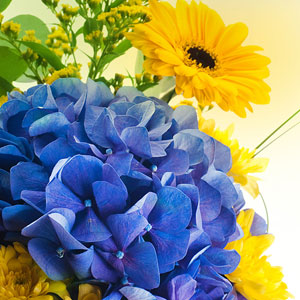 For even more fragrance fun visit all of our free craft recipes! Keep watching for even more creative soap and candle making ideas. This entry was posted in candle fragrance oils, candle making supplies, Fragrance Oils, Natures Garden, Soap Fragrance Oils, Soap making supplies and tagged bailey favorite fragrance oils, bailey favorite fragrances, bailey favorite scents, bailey favorites, black raspberry vanilla scent black raspberry vanilla fragrance oil, candle fragrances, candle scents, cold process soap recipe, creative team at Natures Garden, cucumber fragrances, cucumber scents, firewood fragrance oils, firewood scent, fragrance oils, free cp soap recipe, honeysuckle fragrance oils, honeysuckle scent, Lemon Sugar Fragrance Oil, lemon sugar scent, mango fragrance oil, mango scents, melon fragrance oils, melon scents, Natures Garden fragrance oils, orchid fragrance oils, orchid scent, peppermint fragrances, peppermint patty fragrance oils, peppermint scents, popular fragrances, popular scents, scented oils, soap fragrances, soap scents, sun ripened raspberry fragrance oil, sun ripened raspberry scent, white peach fragrance oils, white peach scent on May 27, 2015 by Deborah Ward. Hello everyone, my name is Bailey! 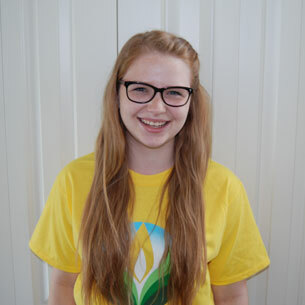 I work at Natures Garden during my summer breaks and have greatly enjoyed my time here. Although I may not work the entirety of the year, I still feel as though I’m part of the Nature’s Garden team. I’ve had quite a bit of fun here and have enjoyed being a part of many recipes. While working here I’ve found the following fragrances to appeal to me far more than any others. 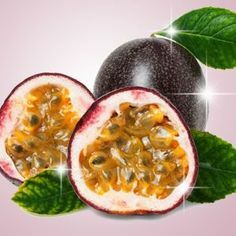 This fragrance oil begins with top notes of ripened raspberries, red delicious apples, and oranges; followed by middle notes of ylang ylang, rose, greenery, and tagette; well-rounded with base notes of vanilla beans. With this fragrance oil, elegance is the first word that comes to mind when describing this upscale, complex fragrance blend. A beautiful arrangement of sophisticated florals including peony petals, muguet lily and silk flowers (mimosa flowers), floral sandalwood and floral musk, with effervescent top notes of fresh peach, mandarin, and neroli blossoms. 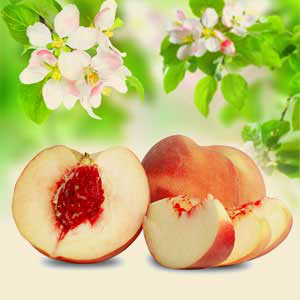 This fragrance is similar to the scent of caress daily silkening. 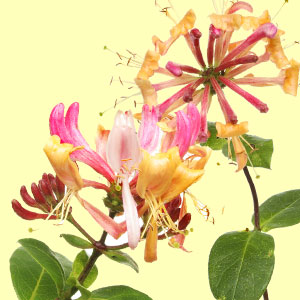 This fragrance oil is a fresh ozonic honeysuckle blend with hints of jasmine, rose, and lilac. This fragrance oil is a Fresh Duplication. Remember the taste of childhood lemonhead candy? This fragrance takes it up a notch with citrus top notes of real lemon, and warm base notes of vanilla and sugar. 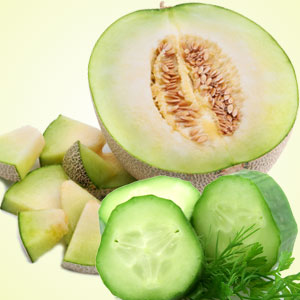 This fragrance oil is an aroma of sweet and sour cucumber and a deep green oily note with hints of violet, with a background of sweet, freshly sliced honeydew melon. This fragrance oil is an enticing blend of blackberries and raspberries, with middle notes of white floral greenery, and bottom notes of musk and vanilla. 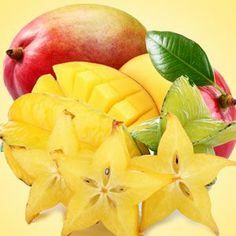 This fragrance oil is an uplifting, energizing blend of ripe mango, juicy lemons, and fabulous, red raspberries. This fragrance oil is a masculine arrangement that begins with top notes of herbaceous pine, balsam, and citrus bergamot; leading to middle notes of white flowers and earthy sandalwood; sitting on base notes of woodsy patchouli and violet. This fragrance oil is the aroma of creamy peppermint and vanilla with a strong down of bitter sweet chocolate. There are a plethora of amazingly scented fragrances here at Natures Garden. Although these are definitely my ten favorite, there were many that made it very difficult for me to decide. Not only is there a wide variety of fragrances, but there’s an abundance of recipes and ideas that can be made into your favorite scents. 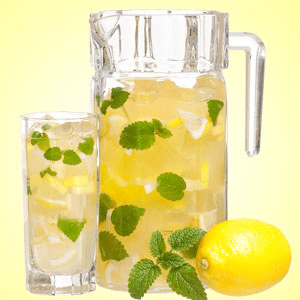 In fact, I used one of my favorite fragrances, Lemon Sugar Fragrance Oil, in my spotlight project, Cold Fashioned Lemonade Soap. This was a blast for me to come up with and create. I hope you all have as much fun with your favorite fragrances as I do with mine! This entry was posted in free recipe, melt and pour soap, Natures Garden, Soap making supplies, soap recipes, soapmaking and tagged Candy Fragrances, candy scented soap, candy scents, childhood fragrances, childhood scents, crafts for children, crafts for kids, diy projects to do with your kids, easy projects to make, fragrance oils, free craft recipe, free soap recipes, how to make melt and pour soap, how to make soap, how to package melt and pour soap, how to package soap, make homemade soap, making melt and pour soap, melt and pour soap, melt and pour soap recipes, mom and me recipes, mp soap, natures garden, salt water taffy fragrance, salt water taffy fragrance oil, salt water taffy scent, salt water taffy soap, salt water taffy soap recipe, scented soap recipe, soap making, soap making ideas, soap making recipes, soap packaging, soap that smells like candy, soapmaking, summer soap recipes on May 26, 2015 by Deborah Ward. 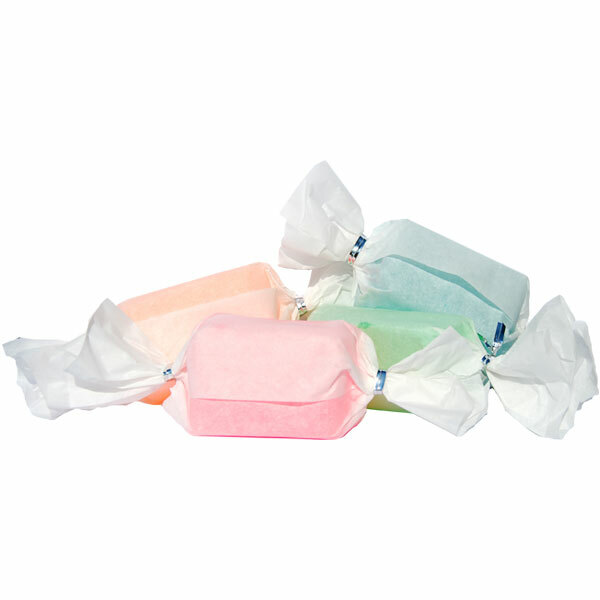 Salt Water Taffy Soap Recipe is sure to take you back to your childhood. Not only does it have a great candy scent, but it also shows you an adorable way to package soap. We took these fun soaps to a couple soap gatherings over the past couple months and they were a huge hit! We had many soap makers ask how exactly we made these. So by popular request here are the instructions for this unique salt water taffy fragranced soap. Begin with four heat safe bowls. 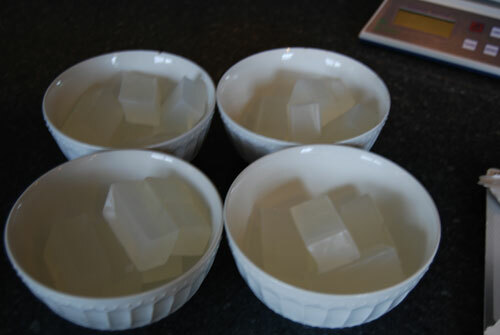 Place 219 grams of Diamond Clear Melt and Pour Soap in each bowl. Use a microwave to melt the soap. We recommend melting the soap base 30 seconds at a time until it is completely melted. 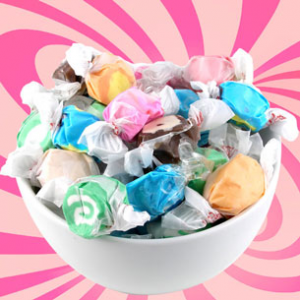 Once it is melted, add 10 grams of Natures Garden’s Salt Water Taffy Fragrance Oil to each bowl. Stir well to fully incorporate the fragrance oil. 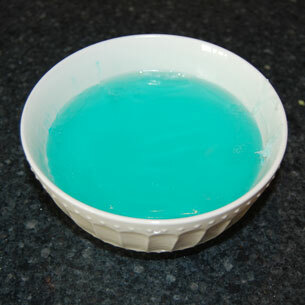 In the first bowl, add three drops of the neon blue soap colorant. To the second bowl, add two drops of the neon pink colorant. The third bowl will need four drops of the neon orange colorant. 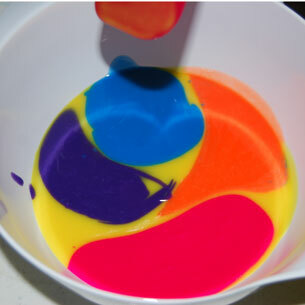 In last bowl, place three drops of the neon green soap colorant. Stir each bowl well to incorporate the colors. 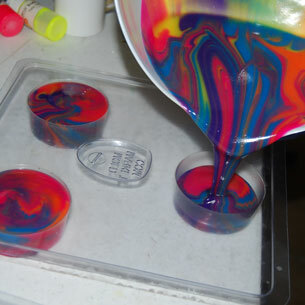 Once the color is mixed, pour your soap. Pour each color into its own cavity of the mold. Once the soap has setup, you can go ahead and remove the melt and pour soap from the mold. Cut it into three equal sections. Lastly, it is time to wrap your soap. Using scissors, cut strips of parchment paper. They need to be 6 inches long and 7 inches wide. Wrap the soap with the parchment paper and use a twist ties to close the sides. It will look similar to wrapped piece of salt water taffy. This recipe is not only simple and fun to make, it also gives you an easy, inexpensive, and creative way to package your soap. It’s the perfect craft to do with your kids as well! 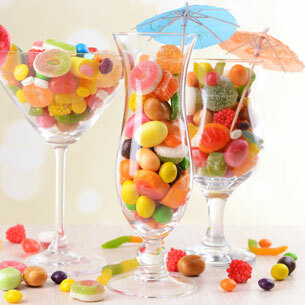 We hope that you have as much fun making this recipe as we did! For even more fragrance fun visit all of our free craft recipes! Keep watching for even more creative soap and candle making ideas. This entry was posted in bath and body, candle making supplies, Fragrance Oils, Natures Garden, Soap making supplies, wholesale fragrance oils and tagged aroma of caramel popcorn, candle making, candle making supplies, caramel fragrances, caramel popcorn, caramel popcorn fragrance, caramel popcorn fragrance oil, caramel popcorn scent, caramel scents, childhood fragrances, childhood scents, Crafts, diy, food scents, fragrance, fragrance oils, homemade, homemade candles, how to make candles, how to make soaps, making candles, making soaps, natures garden, popcorn scents, scented oils, smells like popcorn, soap making, soap making supplies, wholesale, wholesale fragrance oils, wholesale fragrances, wholesale scents on May 26, 2015 by Deborah Ward. Caramel Popcorn is a fragrance that is sure to make all of your dreams come true. 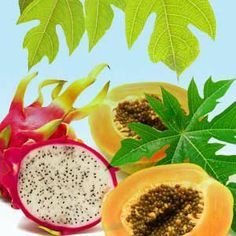 It is a wonderful fragrance that completely satisfies any craving you could ever have with its delicious aroma. This fragrance is sure to bring back many childhood memories of movie nights, nights out with your friends, and of course carnivals and fairs where you can get this yummy treat! 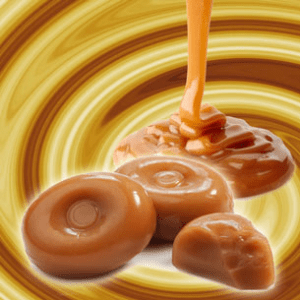 Our Caramel Popcorn scent perfectly captures the aroma of this yummy caramel goodness, and is sure to be a scent that you won’t be able to resist. Everyone you know is sure to be mesmerized by this awesome fragrance. What Does Caramel Popcorn Smell Like? Caramel Popcorn scent by Nature’s Garden is the wonderfully delicious aroma of freshly popped popcorn covered in warm, rich, creamy caramel! 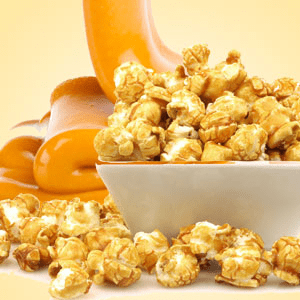 How Do Our Customers Use Caramel Popcorn Fragrance Oil? This fragrance is one that will make your mouth water for a taste of this yummy treat. Can’t you just taste the warm freshly popped popcorn and all of the delicious creamy caramel? Are your taste buds going as insane as mine thinking about the next time you’ll be able to devour this sinful confection? For all of the candle makers out there, our Caramel Popcorn scent is absolutely perfect for you. This fragrance works nice and strong in soy wax, as well as performing perfectly in wow wax and joy wax. For all of the incense and potpourri makers out there, this fragrance is exactly what you’ve been looking for. It has a maximum usage rate of 50%. You can easily fill your home with this delicious aroma by using this fragrance to create some nice and strong homemade aroma beads. For bath and body products, our Caramel Popcorn fragrance oil has a maximum usage rate of 5%. Some common bath and body products that can include this wonderful scent are bath oils, perfumes, bath gels, soaps, and lotions. This fragrance does happen to have a vanillin content of 2%, meaning that it may tend to discolor your soaps and other homemade bath and body products. Just make sure to test it thoroughly before using this fragrance in any of your finished and final products, and be sure to use a Vanilla White Color Stabilizer to avoid any problems with discoloration. For all of the cold process soap makers out there, our Caramel Popcorn scent is just what you’ve always been searching for. Our cold process results are: there is no acceleration or ricing and this fragrance has an absolutely perfect pour. There is also no separation and the scent is very good. However, this fragrance does discolor to a nice caramel color. Aren’t you just dying to get your hands on this mouth watering fragrance as soon as you possibly can? Well, make sure to check out all of our awesome free classes and recipes as well. Please don’t hesitate to contact us here at Nature’s Garden if you have questions, thoughts, or concerns, and make sure to enjoy this great fragrance. Watch out for even more fragrance fun postings! This entry was posted in candle making supplies, Fragrance Oils, fragrances, Natures Garden, Soap making supplies and tagged black tie fragrance, black tie scent, blue raspberry fragrance, blue raspberry scent, caitlyn favorite fragrances, caitlyn favorite scents, candle fragrances, candle scents, candy apple fragrance, candy apple scent, Candy Fragrances, candy scents, chai tea fragrance, chai tea scent, coffee fragrances, coffee scents, cool water fragrance, cool water scent, country garden fragrance, country garden scent, favorite fragrances, favorite scents, fragrance oils, fragrances, fruit fragrances, fruit scents, funnel cake fragrance, funnel cake scent, grape fragrances, grape scents, hazelnut fragrance, hazelnut scent, natures garden, popular candle fragrance, popular candle scents, popular soap fragrances, popular soap scents, scents, scents for candles, scents for soap, soap fragrances, soap scents on May 22, 2015 by Deborah Ward. Hi my name is Caitlyn and I am a senior at Fairview High School. My friend Kacie and I are shadowing Nature’s Garden for our senior project. Senior project at Fairview is optional, but we are given the freedom to choose a business of our liking to shadow for the last two weeks of the school year. Kacie and I wanted to do something different and fun so when we found Nature’s Garden we thought it was the perfect fit. On our first day we had the opportunity to spend time at the Fragrance Bar where we got to sample the smells of Nature’s Garden’s many fragrance oils. It was tough, but I happened to choose my top ten scents in order to share with you blog readers! 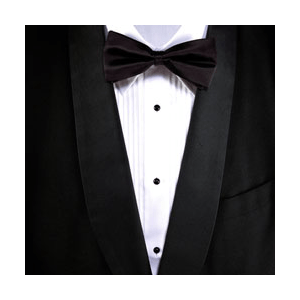 Black Tie Fragrance Oil – This fragrance oil by Natures Garden is the aroma of an accomplished, successful man, who is not afraid of taking risks. Natures Garden’s black tie fragrance begins with top notes of Kaffir lime, lemon, and ozonic notes; followed by middle notes of basil, black pepper, and cucumber; sitting on base notes of vetiver and spice. 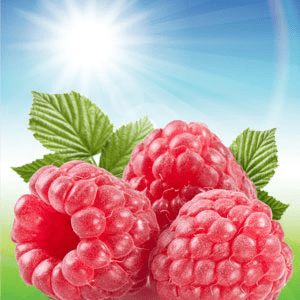 Blue Raspberry Slushie Fragrance Oil – Remember the blue raspberry snow-cones you enjoyed as a child? 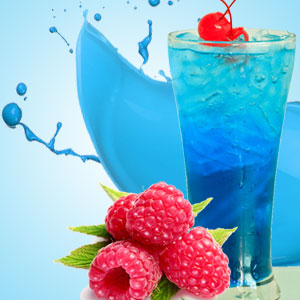 How about those fabulous blue raspberry slushies that can still be enjoyed at most movie theaters? This fragrance captures the aroma of ripened raspberries, sugary cotton candy, and the effervescence of crushed ice. This trip back to childhood truly smells good enough to eat…but better not. 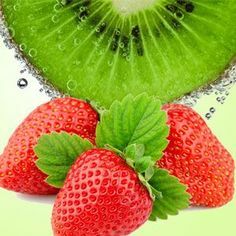 Candied Apple Fragrance Oil – This fragrance oil by Natures Garden is an irresistible blend of juicy apples, rounded out with notes of sweet plums and ripened strawberries; enhanced with a splash of lime, orange zests, with sharp green notes. 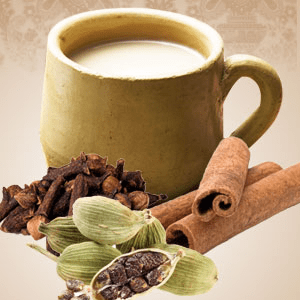 Chai Tea Fragrance Oil – This fragrance oil by Natures Garden is very complex! Our chai tea fragrance begins with top notes of spicy cinnamon bark and nutmeg; followed with a body of fresh green tea; finished off with the aroma of creamy soy milk. 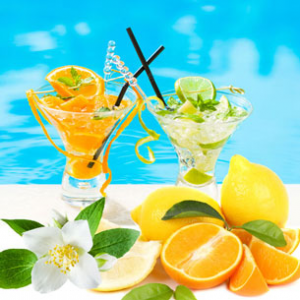 Cool Water Type Fragrance Oil – Compare Natures Garden’s Cool Water Type fragrance oil to the famous cologne for men. 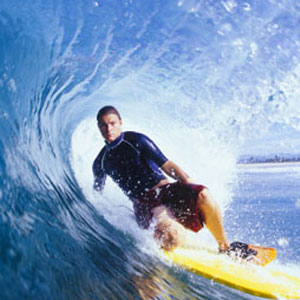 Cool Water is classified as a refreshing, spicy, lavender, ambery fragrance. This masculine scent possesses a blend of lavender, jasmine, oakmoss, musk and sandalwood. Country Garden Fragrance Oil – This fresh, romantic, floral fragrance oil by Natures Garden is fantastic during the whole year! This fragrance begins with top notes of fresh green clover, and ivy with middle notes of romantic snapdragon, rose petals, and carnations; ending with base notes of white musk and fig leaves. 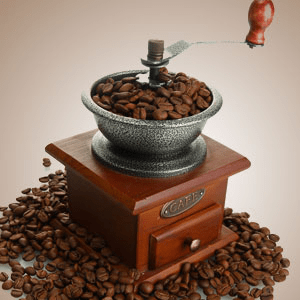 Fresh Brewed Coffee (Original) Fragrance Oil – This fragrance oil by Natures Garden is the aroma of strong black fresh brewed Arabica coffee beans. This is our original fresh brewed coffee fragrance. Coffee fragrances do have base notes of vanilla in them, which may smell somewhat chocolately. 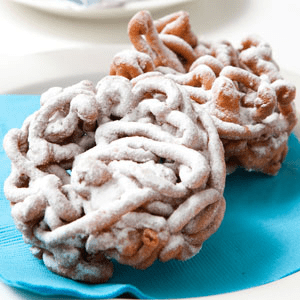 Funnel Cake Fragrance Oil – This quintessential state fair fragrance oil is a treat! This yummy scent is a combination of fried dough sprinkled with sugar, cinnamon and the delicious taste of nostalgia. 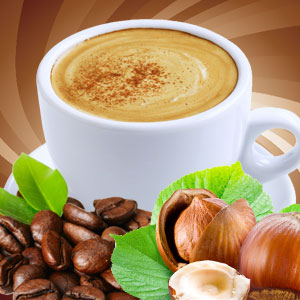 Hazelnut Coffee Fragrance Oil – This fragrance oil by Natures Garden is an aroma of freshly brewed Arabica coffee beans combined with creamy vanilla with a base note of nutty hazelnuts. Grape Happy Camper Candy Fragrance Oil – Go gaga for the scent of ripe, juicy grape candy that will remind you of the sour grape candy enjoyed during childhood. I hope that you enjoyed my favorite scents, you should make sure to check them out and all of the other fragrance oils that Nature’s Garden has to offer! This entry was posted in candle making supplies, favorite fragrances, Fragrance Oils, Natures Garden, Soap making supplies and tagged apple fragrance, apple orchard fragrance, apple orchard scent, apple scent, blue raspberry fragrance, blue raspberry scent, candle fragrances, candle oils, candle scents, candy apple fragrance, candy apple scent, cool water fragrance, cool water scent, country garden fragrance, country garden scent, cucumber fragrance, cucumber scent, favorite fragrances, fragrance oil, fragrance oils, fragrances, kacie favorite fragrance oils, kacie favorite scents, kacies favorite fragrances, kacies favorite scents, natures garden, red delicious apple fragrance, red delicious apple scent, scented oils, sherbet fragrance, sherbet scent, soap fragrances, soap scents, tropical fragrances, tropical scents, weekend in maui fragrance, weekend in maui scent on May 21, 2015 by Deborah Ward. Hi my name is Kacie and I am a senior at Fairview High school. My friend and I have been shadowing Nature’s Garden for a senior project. Every senior gets the chance to shadow a business and we decided this was the best place! Caitlyn and I wanted to do something different than all of the other seniors and Nature’s Garden seemed like a perfect place to shadow. The first day was the hardest because we didn’t know what to expect but once we got to the store the staff was so friendly and upbeat. We both got a chance to visit the fragrance bar at the store and here are ten of my favorite fragrances! 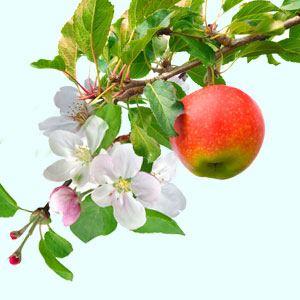 Apple Orchard Fragrance Oil – This fragrance oil by Natures Garden is a perfect combination of Cameo, McIntosh, Red Delicious, Fuji, and Granny Smith apples. So refreshing, you will think someone just peeled a fresh apple in your house. Now with an even stronger scent throw! 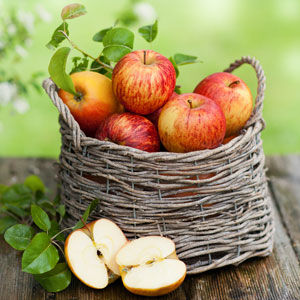 Country Apple Fragrance Oil – This fragrance oil by Natures Garden is a very nice complex scent which begins with top notes of pineapple, jasmine, and tiger lily; strong middle notes of juicy McIntosh apples and tart granny smith apples; with a dry down of vanilla beans. 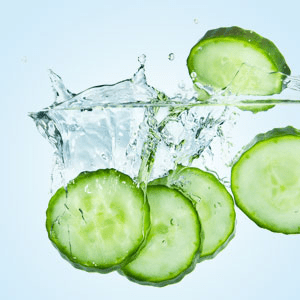 Cucumber Splash Fragrance Oil – This complex, refreshing fragrance oil by Natures Garden is an aroma beginning with top notes of cucumber, bergamot, aloe, and grapefruit; followed by middle notes of freesia, melons, paperwhites, and jasmine; well-rounded with base notes of teakwood, sandalwood, fern and oakmoss. 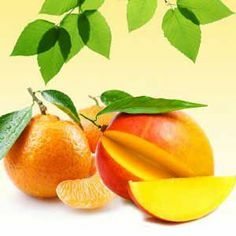 Rainbow Sherbet Fragrance Oil – This fragrance oil by Natures Garden was tested by over 80 customers of ours who gave it fabulous reviews! 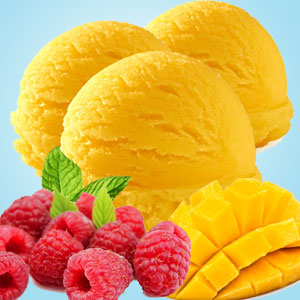 The aroma of fresh lime, pineapple, orange, and raspberry, with creamy base notes of vanilla. Mouth watering! 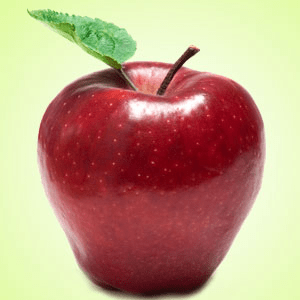 Red Delicious Apple Fragrance Oil – This fragrance oil by Natures Garden is absolutely the best apple scent you will find! 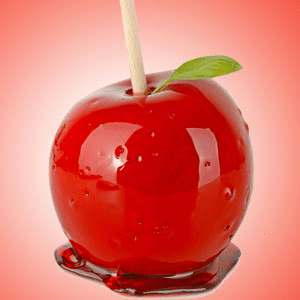 Strong and true, Red delicious apple fragrance is simply amazing! 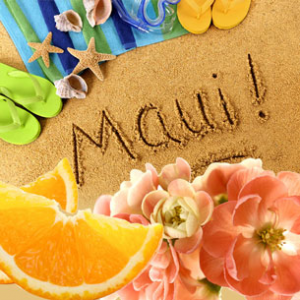 Weekend In Maui Fragrance Oil – Imagine a weekend getaway to a tropical island…the fresh fruits, floral blossoms and warm air of this fragrance set the tone for a mini escape. These are my top ten favorite fragrances and I hope you enjoy them all! Make sure to check them out at Nature’s Garden along with many more! This entry was posted in bath and body, candle making supplies, Fragrance Oils, Natures Garden, Soap making supplies, wholesale fragrance oils and tagged blue cotton candy, blue cotton candy fragrance, blue cotton candy fragrance oil, blue cotton candy scent, candle making, candle making supplies, candy scents, childhood scents, cotton candy, cotton candy aroma, cotton candy scent, Crafts, diy, fragrance, fragrance oils, homemade, homemade candles, homemade soaps, how to make candles, how to make soaps, making candles, making soaps, natures garden, smells like cotton candy, soap making, soap making supplies, wholesale, wholesale fragrance oils, wholesale fragrances, wholesale scents on May 20, 2015 by Deborah Ward. Our Blue Cotton Candy fragrance oil is the wonderful aroma of a delicious special occasion treat. One that you can only get when you get to go to the fair or a carnival. 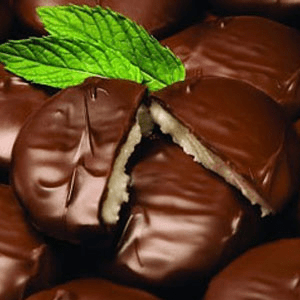 This yummy treat is certainly delicious and one that you never want to stop eating! When you have it, you just can’t resist the urge to keep eating! 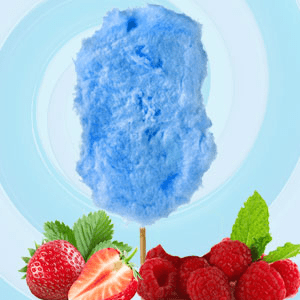 Our Blue Cotton Candy fragrance perfectly captures the wonderful aroma of this yummy summer treat, an aroma that is sure to make your mouth water for just a taste of this lighter than air confection! What Does Blue Cotton Candy Smell Like? Blue Cotton Candy scent by Nature’s Garden is a sweet airy cotton candy fragrance with awesome fruity notes of raspberry and strawberry. 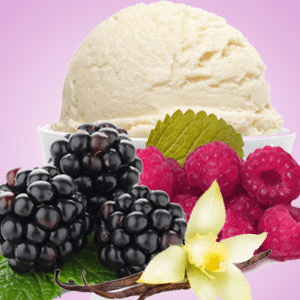 These fruity notes are laced with hints of nutty almonds and caramel swirls that are sweetened with creamy vanilla. How Do Our Customers Use Blue Cotton Candy Fragrance Oil? This fragrance is sure to transport you right back to your childhood memories. Spending the day with your family at the fair or the carnival with this luscious treat gracing your taste buds! Can’t you just hear the animals roaring at the carnival, or feel the wind whipping through your hair while riding the amazing rides at the county fair? For all of the candle makers out there, our Blue Cotton Candy scent is everything you’ve ever wanted! It performs perfectly in wow wax and joy wax, as well as working nice and strong in soy wax. For all of the potpourri and incense makers out there, this fragrance is exactly what you’ve always been looking for! It has a maximum usage rate of 50%! You can easily fill your home with this yummy smelling aroma by using this fragrance to create some nice and strong homemade aroma beads! For bath and body products, our Blue Cotton Candy fragrance has a maximum usage rate of 5%. Some common bath and body products that can include this great fragrance are soaps, bath oils, lotions, bath gels, and perfumes. This fragrance does happen to have a vanillin content of 2%, meaning that it may tend to discolor your soaps and other homemade bath and body products. Make sure to test this fragrance thoroughly before using it in any of your finished and final products, and use a Vanilla White Color Stabilizer to avoid any discoloration problems. For all of the cold process soap makers out there, this fragrance is absolutely perfect for you! Our cold process results are: there is no acceleration or ricing and this fragrance has a perfect pour! However, it does discolor to a milk chocolate color. Go ahead! Go get your hands on this amazing scent as soon as you can! But make sure to check out all of our great free classes and recipes while you’re there as well! Please don’t hesitate to contact us here at Nature’s Garden if you have any thoughts, questions, or concerns, and keep watching for more Enlightened by Layla!